Go into a coffee shop almost anywhere in America and you're likely to find most of its patrons working at their laptops. The coffee shop has become a secondary or even primary office for many in today's labor force. But the piped in music, general commotion, and lack of amenities have caused many of these workers to relocate to a different setting: a co-working space. These spaces might resemble traditional offices in superficial ways, such as having desks, a printer, and a kitchenette, but the important difference, of course, is that the individuals and small organizations or businesses that work out of these offices aren't united under a single company. They can come and leave as they choose. And unless you have a dedicated desk, the entire space is shared. 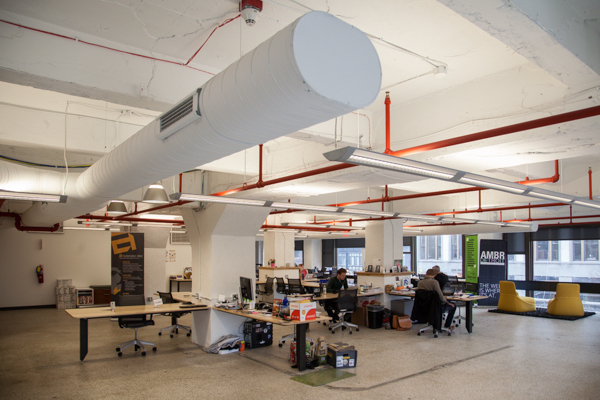 There are currently nineteen co-working offices in Metro Detroit and Ann Arbor. Many of these, such as An Office in Detroit and Bamboo Detroit opened in just the past couple of years. Cities across the country are experiencing similar shifts in office culture. 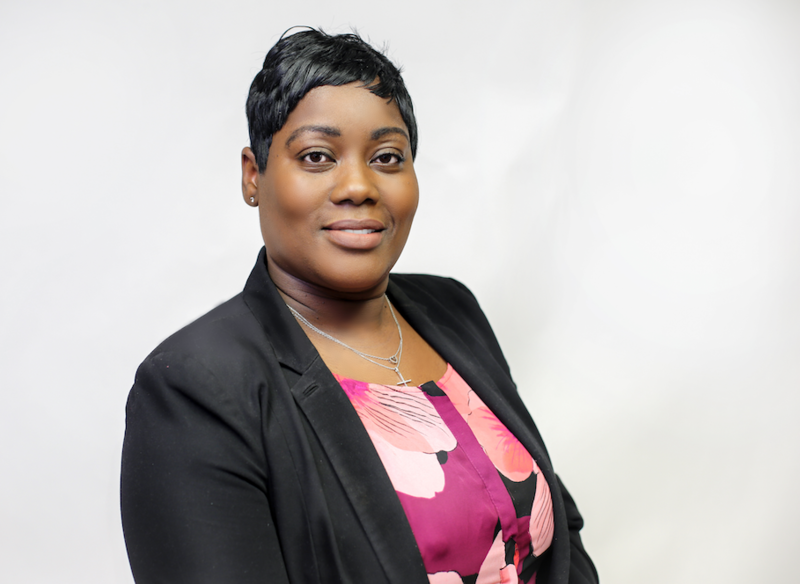 "This will soon be driving economies everywhere," says Jim Boyle, senior program officer at the New Economy Initiative NEI, a philanthropic organization that funds efforts to build a network of support for entrepreneurs and small businesses in southeast Michigan. Boyle notes that over a million people will be working out of over 12,000 shared offices in the next five years based on current projections. The multiplication of co-working spaces is indicative of a larger economic trend: the rise of the freelancer. "I think freelancing became more popular as more people were able to access technology," says Amanda Lewan, co-founder of Bamboo Detroit and a longtime freelance writer and social media expert. "They have the ability to work some days or even completely from home." Beyond access to WiFi, coffee, and a printer, which most have available at a home office, there's a number of incentives to becoming a paying member of a shared office. A distinct advantage is the ability to work in the company of others. 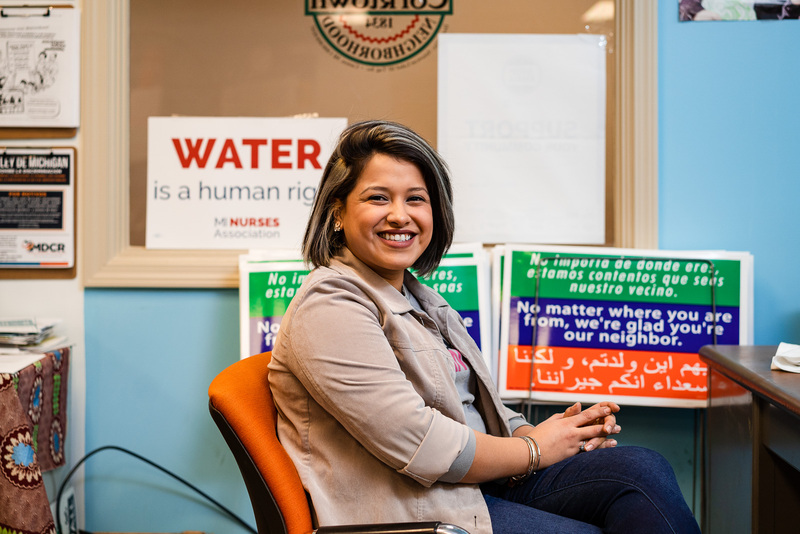 "People feel disconnected if they only work out of their homes or coffee shops," says Lewan. NEI and Bamboo Detroit launched a week-long series of events and open houses at ten co-working spaces around the city that began Oct. 20, dubbing it "CoLab Week." 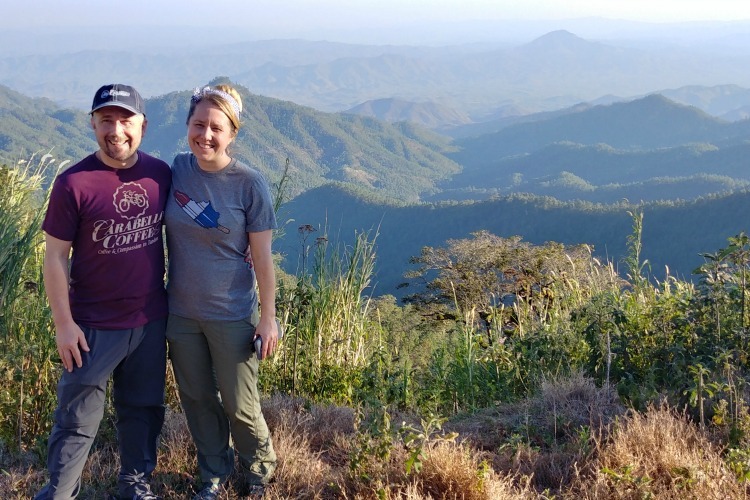 Their intention was to raise awareness about co-working and encourage entrepreneurs and freelancers on the fence to potentially join a shared office. One such event was a panel hosted by Bamboo Detroit in conjunction with Model D and NEI that took place on Oct. 22. Five owners of co-working spaces in Detroit, Ann Arbor, and even Grand Rapids, along with one freelancer, gathered to discuss the culture of co-working. A recurring theme of the discussion was how to create an ideal work environment. One way the panelists achieve this at their co-working spaces is by inviting their members to non-work related events or activities that foster community. Ponyride, which opened a co-working space in July, hosts a volunteer event every other Wednesday. "People here are part of a community," says Karla Henderson, Ponyride's executive director. "They help each other out and say, "This will make it better for the Ponyride community as a whole, so let me offer my services.'" By finding the right mix of professions and personalities, co-working spaces encourage the transfer of ideas and services. To achieve this, says Brian Davis, co-founder at Bamboo Detroit, "Diversity is the key." Lewan concurs with her colleague. "We have a very diverse community -- people of all backgrounds and ages. We have people working for nonprofits, as writers, doing business consulting, real-estate. This mingling of professions brings different perspectives into the mix." Now Metro Detroiters can apply for membership at shared offices in diverse neighborhoods and cities that offer an assortment of amenities and programs for varying fees and plans. How does one find the office that's most appropriate? 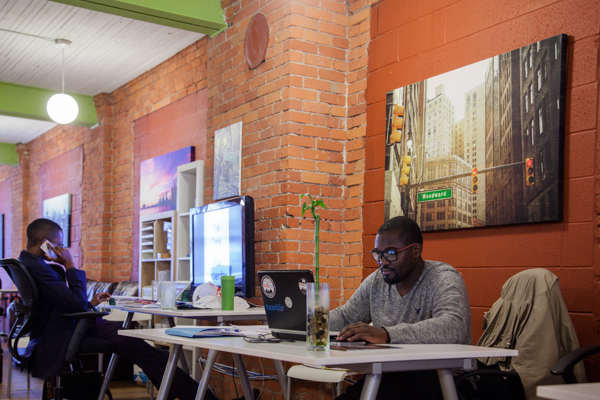 NEI and the founders of co-working spaces in Metro Detroit are recognizing the potential of the freelance economy. As part of CoLab Week, they have undertaken several measures to help workers choose the shared office that's right for them, in addition to exploring the possibilities and implications of co-working. 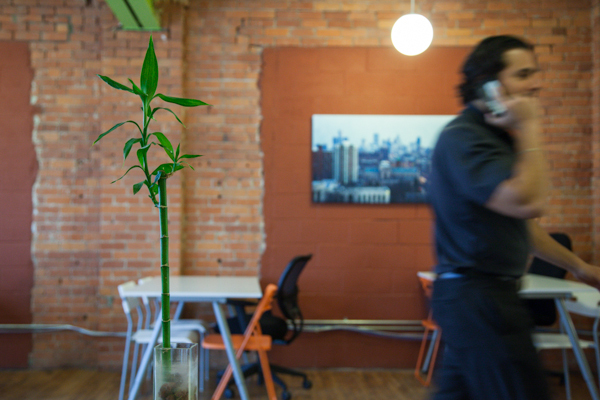 Bamboo Detroit, in conjunction with regional co-working offices, now offer the "Co-Working Pass," which allows a member of one space to explore others for free several times a month. NEI and Bamboo Detroit created the "Co-Working Guide," a helpful pamphlet that outlines the locations and services offered for all then co-working spaces in Southeast Michigan. NEI also launched "Street Level," which will help its employees better understand the dynamics and benefits of co-working by embedding them in various co-working spaces in Detroit for the next "two to three years." As these initiatives indicate, there's collaboration between not just members of a given co-working spaces, but also between the offices themselves. 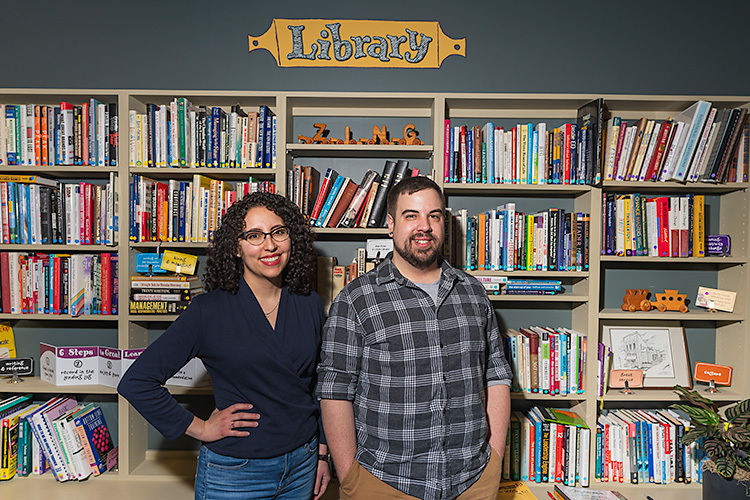 "Co-working is very geographical, local thing -- there's room for lots of spaces to thrive," says Aaron Schaap, founder of The Factory in Grand Rapids. 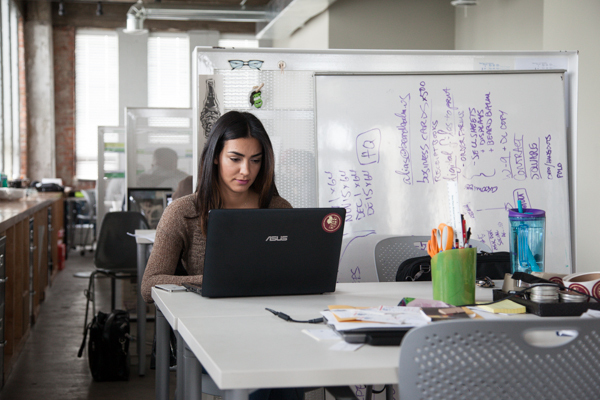 "It's really important to be present and on the ground in Detroit - that's why co-working is so potentially useful. So even if someone isn't right for us, we'll still refer them to other places," says Bamboo's Davis.